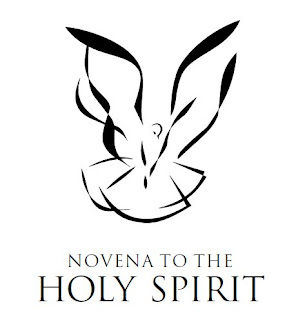 The novena in honour of the Holy Spirit is the oldest of all novenas since it was first made at the direction of Our Lord Himself when He sent His apostles back to Jerusalem to await the coming of the Holy Spirit on the first Pentecost. Addressed to the Third Person of the Blessed Trinity, it is a powerful plea for the light and strength and love so sorely needed by every Christian. The nine-day Novena to the Holy Spirit will be prayed collectively by Jesus Youth around the world in union with the Universal Church to invoke a renewed out pouring of the Holy Spirit. The traditional Novena has been modified to include special prayers for a ‘new anointing’ on the movement. Leader: Come Holy Spirit, fill the hearts of your faithful and kindle in them the fire of your love. Community: Send forth your Spirit and renew the face of the earth. Leader: O God, of old you instructed the hearts of your faithful by the light of the Holy Spirit. Give us this Holy Spirit; under His divine inspiration, may we have a sense of what is true and a taste for what is good, and always experience the fruit of His consolation. This we ask through our Lord Jesus Christ, your Son. Leader and Community: God the Father, Creator and Protector of all, we praise you. God the Son, who incarnated as man to show the world the love of the Father, we worship you. Jesus, we thank you for sending your Holy Spirit upon us to prepare us to acknowledge and believe that you are our Saviour and Lord. O, Holy Spirit, who, since the creation of the Universe, has been continuously renewing the face of the earth with your presence, we glorify you. You, who descended upon our Holy Mother and the apostles who had been prayerfully waiting in the House of Sion, come and fill this community with your presence. Fill the hearts you created with your divine graces. Enable us to fill our bodies, your dwelling places, with holiness. O, Holy Spirit, fountain of holiness and love, come and purify us. Give us the grace to know and believe in the Father, the Son and their Spirit, you, the Holy Spirit. Amen. Leader: Let us with joy and enthusiasm give thanks to the Holy Spirit for filling us with His gifts and fruits. Community: We give you thanks. Comm: We give you thanks. 5. O, Holy Spirit, who dwells within us and sanctifies us,Comm: We give you thanks. Leader and Community: O Holy Mary, Mother of God and our Saviour Jesus Christ, intercede for me to God the Father that I may be freed from my sins by the merits of the Precious Blood of your Divine Son, and that I may be filled with the gifts and fruits of the Holy Spirit. Take away from me my sinful heart and give me the new heart that Almighty God promised through the prophet Ezekiel. “I will give them a new heart, and put a new spirit within them. I will remove the heart of stone from their flesh and give them a heart of flesh, so that they may follow my statutes and keep my ordinances and obey them. Then they shall be my people and I will be their God.” (Ezekiel 11:19-20). Holy and loving Mother, intercede for me that I may be filled with the love of the Holy Spirit. Help me to be filled with the spirit of repentance, to abandon my sinful ways and be transformed into a new individual by the power of the Precious Blood of Jesus. Leader: O God, give us the fruit of self-control. Help us to control our temper and tongue. Grant that we may never be swept in some moment of passion into doing or saying anything which would hurt others. Deliver our hearts from nursing thoughts that are bitter, unforgiving, jealous and unclean. Help us to achieve self-mastery over our emotions and impulses. Help us channel them into ways and means of true brotherly and sisterly love. We make this prayer in the name of Jesus.